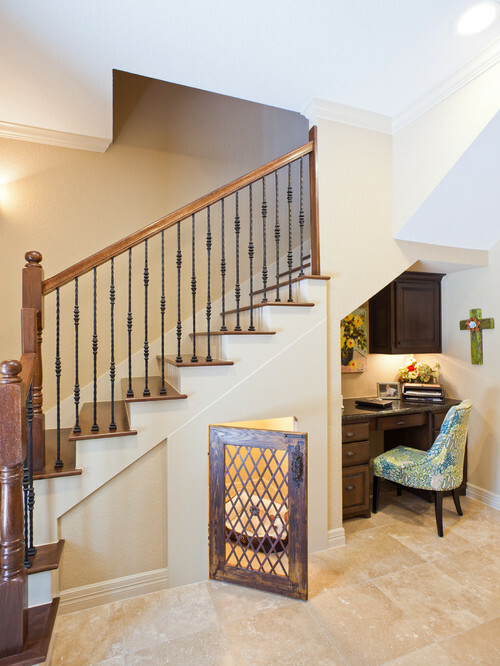 Under stair storage space is an often unrealized asset. Which is a shame, because it can really add beauty, architectural detail, and organization. 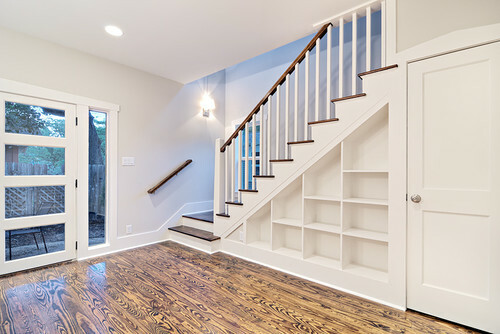 So, if you have a set of stairs that have a plain sheetrock wall, consider some of the below options to add appeal and storage to your home. 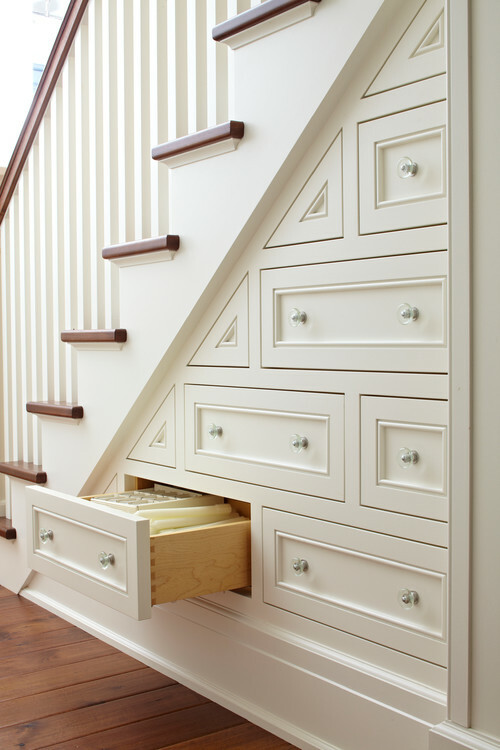 18 Under Stair Storage Ideas! 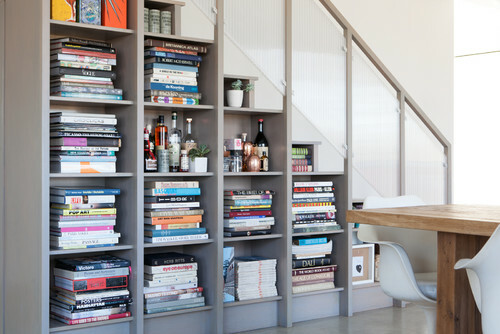 Book shelves are a great addition for this unused space. 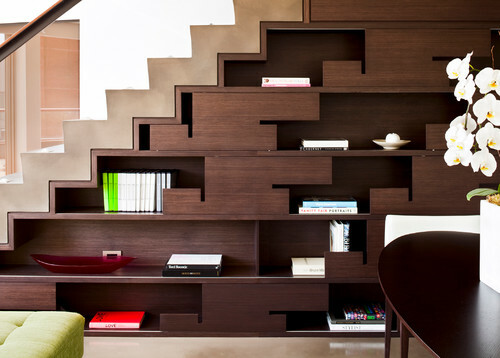 It creates a feature while providing a place to store books and display keep sakes. 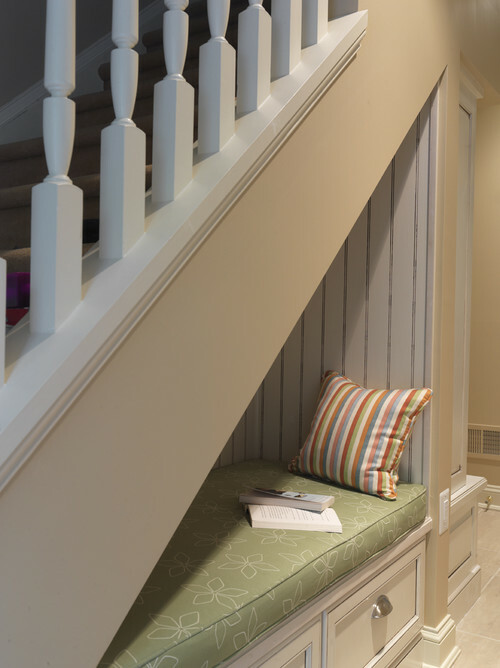 Even if their is a door leading to another room, that small amount of space between the door and the front step can still be used to create a great little shelf nook. Here is another example of shelving. I like this image because it has not yet been filled with books. So, it gives us a nice view of the actual shelves. Just recently, I posted ideas for getting more out of small closets. 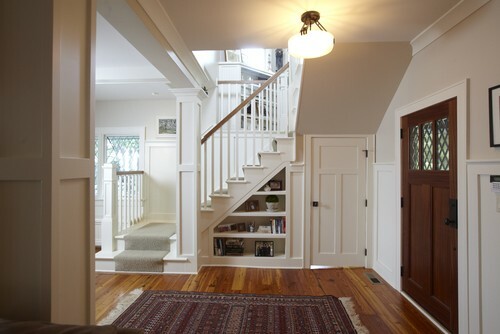 Well, I should have included an under stair addition, because this area is perfect for creating more closet space. Drawers, like these above, can be great for storing out of season items. It also would be a good linen storage solution. Here, pullout storage shelving provides extra storage for shoes, or anything that may require shelving space. A bit taller and you could hang clothes in there. (If you want to see more ideas for shoe storage solutions, you can find them in this article). This one is a a great idea. The built ins are made on the bedroom side of the stairs. 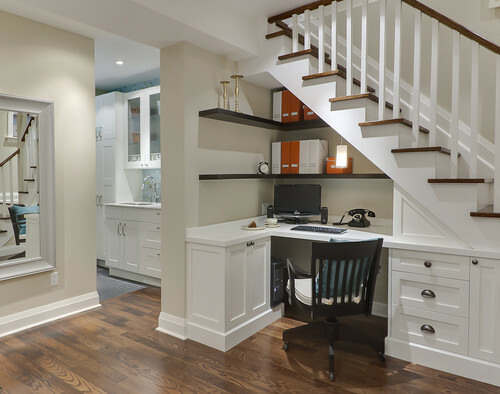 It is a great space to add drawers and shelving. 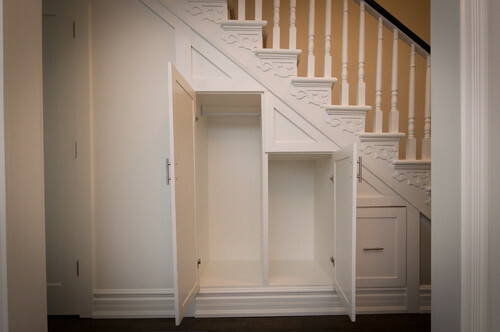 But if there is not a bedroom on the either side of the stair case, there is no reason why closets can’t be added anyway. 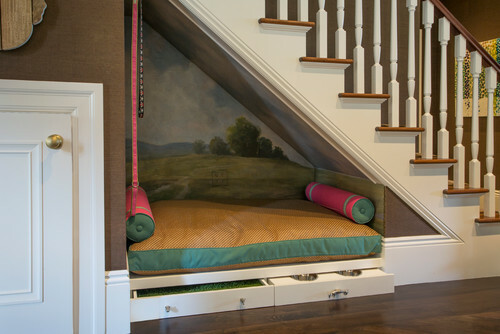 If you have pets, under stair storage is perfect. 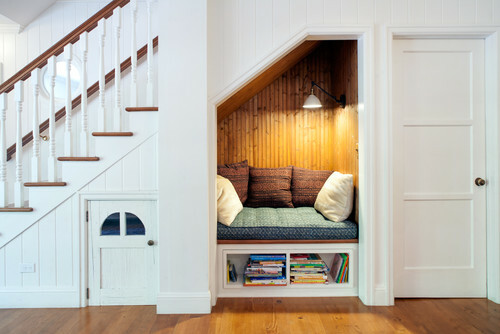 Even the smallest space can provide room for your fur baby to have his/her own space. 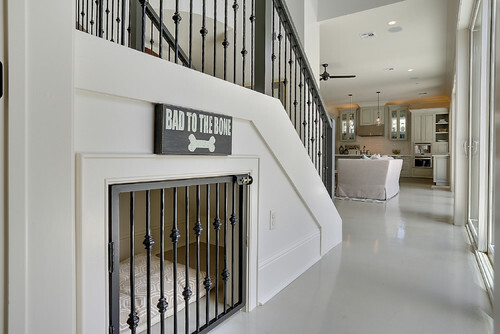 This looks similar to my own pet space (seen here in this article for incorporating pet furniture into your home decor). If you don’t like the idea of an iron door, just leave it off. I find it helpful for when I need to provide a secure space for my girls (like when small children or delivery men are around), but just the trimmed opening would look nice, for those of you who want to eliminate the door. Who doesn’t like a good place to curl up with a book. 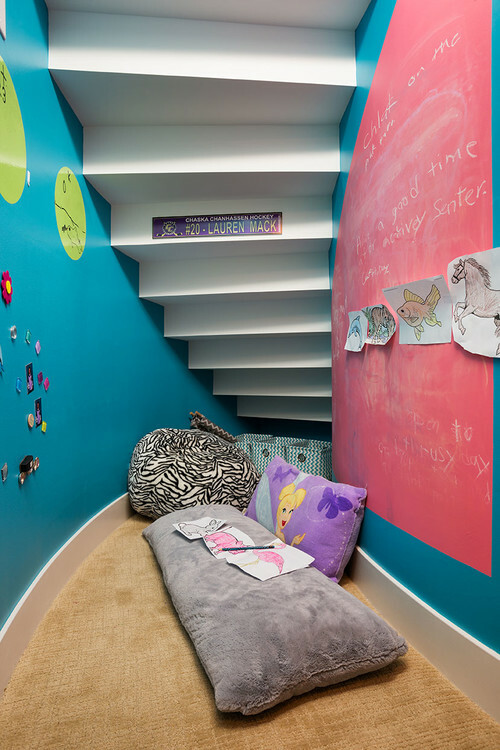 These, small nooks work great for kids and encourage reading. Even a low ceiling nook can work. 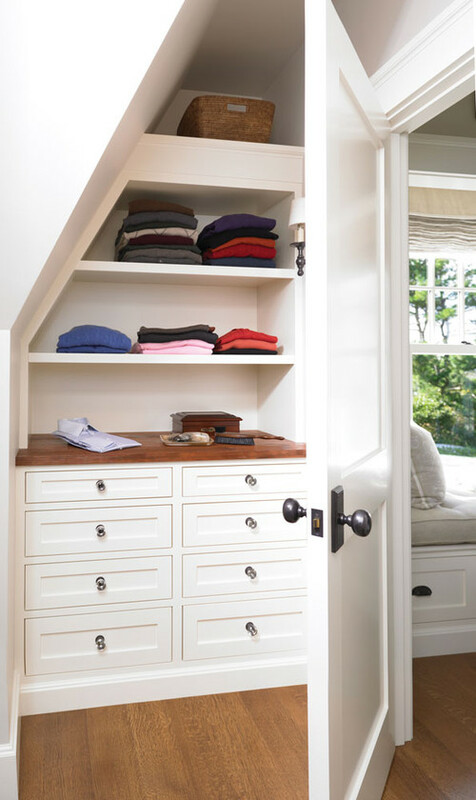 Add a few draws below to get some extra storage space to get the most bang for your buck. 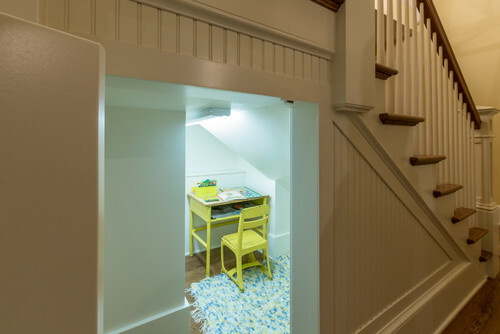 If you have enough space, consider making an enclosed space for your little one to play or hang out. If your up to sharing the space with your pet, even a small desk space is nice. If an upscale and adult setting is more in line with what you want, consider an enclosed wet bar area. 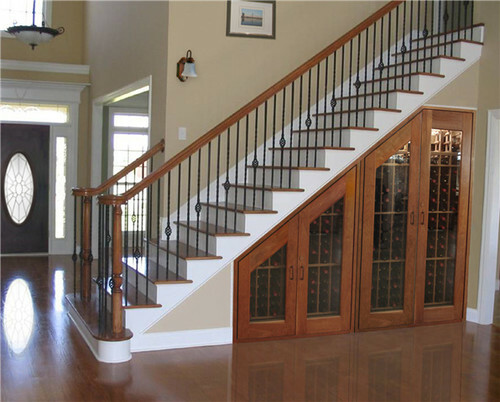 Here, wine storage was added under the stairs, because the home just did not have a cellar.